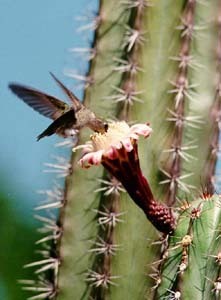 This site contains collected images, sound recordings, and explanatory text about Arizona birds. Most of the material has been gathered during work on the Arizona Breeding Bird Atlas project (ABBA) administered by Arizona Game and Fish. A collection is usually a sound recording or photograph, and some text, that explains the significance of the material presented. Sometimes both photos and sound recordings are included in the same collection. This copyrighted material may be freely distributed for non-commercial purposes so long as mirror-pole.com, and all the authors of the material, are credited with its production. Commercial users must check with us to verify that the material can be used by them before it is redistributed. June, 2014 - Wild At Heart has now installed over 5000 artificial burrows and relocated over 1500 Burrowing Owls to artificial habitat statewide in Arizona. August, 2008 - Report a Burrowing Owl location to Wild At Heart at e-BUOW. This is a Google Maps application that lets you zoom to the correct spot and place a marker where you have seen the owl. September, 2008 - Report a Peach-faced Lovebird location at e-Peachface. This is a Google Maps application that let's you zoom to the correct spot and place a marker where you have seen the Lovebird. See link below to go direct to lovebird photos and general information. 06/29/2014 - UPDATED, Citizen Science reported nest and roost information for lovebirds. Have you seen a nest or roost site? April 2, 2011 See the relocated owls at the agriculture Cibola NWR Release Site. See the new program for relocating Burrowing Owls from the low elevation desert areas near Phoenix to the high elevation grassland sites in Cochise, Kingman, Prescott Valley, and the BLM land on the Arizona Strip near St. George, Utah. Follow this link to see the BLM site and the video of the Burrowing Owl eggs in the burrow. These eggs were laid while the owls were still in the release tent. Small Air Traffic Control Tower at Disneyland California Adventures Please help us uncover the history of the small air traffic tower at the Soarin' Over California ride in California Adventures at Disneyland. This small air traffic control tower was used in Vietnam. Text Updated June 29, 2011. Notes and photos from someone who used one during the Vietnam War. Wild At Heart Web Site Learn about Arizona raptor rehabilitation at this new site. See the infrared video of the Burrowing Owls in the underground burrows. Yuma Antelope Squirrel Photographs See a few photographs of adult and juvenile Yuma Antelope Squirrels. Rock Squirrel Photographs and Video See a few photographs of adult and juvenile Rock Squirrels and Video. Naturerecordists 2001 Dawn Chorus Project The worldwide community of natural sound recordists comes together on one day to produce a worldwide dawn chorus of planet earth. Download recordings that were all made on September 1, 2001. Burrowing Owl Artificial Nest Box Project An Arizona Partners in Flight habitat substitution project. Learn about what is being done to replace natural Burrowing Owl burrows in the greater Phoenix area and what you can do to help. Humans can read, and use, the above e-mail address, but web robots cannot. This is necessary to minimize the volume of spam we get, thanks. 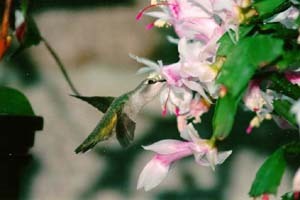 Hummingbird photos by Earle Robinson.